MALVERN has announced its programme of web-based training seminars – webinars – for 2012. As well as over 70 webinars in English language, presentations will also be made in Spanish, French, German, Portuguese, Chinese, and Japanese. The range of topics starts with the basic principles of image analysis, and include advanced subjects including zeta potential measurement and specific laser diffraction techniques. 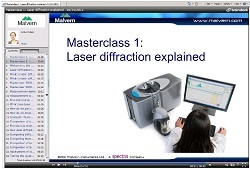 Malvern says its web seminars equip participants to use in-line particle sizing technology in applications such as pharmaceutical manufacturing, gel permeation chromatography in the manufacture and analysis of polymers, and to rheology for cosmetic and personal care products.